Abiotic stresses are one of the major factors affecting crop production in many parts of the globe. The need of the hour is to reduce the yield losses due to these abiotic stresses. In this connection, early detection and corrective measures can help to reduce the impact of stresses on crop growth and yield. The recent developments in remote sensing particularly hyperspectral remote sensing hold a major key in early detection of abiotic stress over a larger area with less involvement of cost, time and labour. 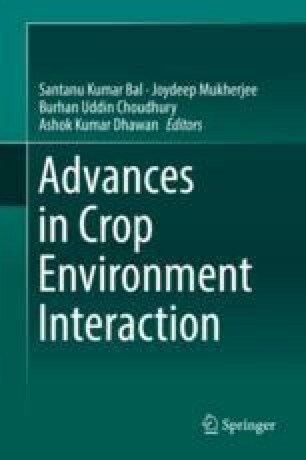 The works relevant to abiotic stress characterization particularly water and nutrient stress based on plant spectral reflectance are dealt in this chapter. The research work done previously elucidates that the water and nutrient monitoring through remote sensing is possible. The remote sensing-based techniques can lead to the development of real-time management of water and nutrient stress, thereby reducing the yield losses due these stresses.